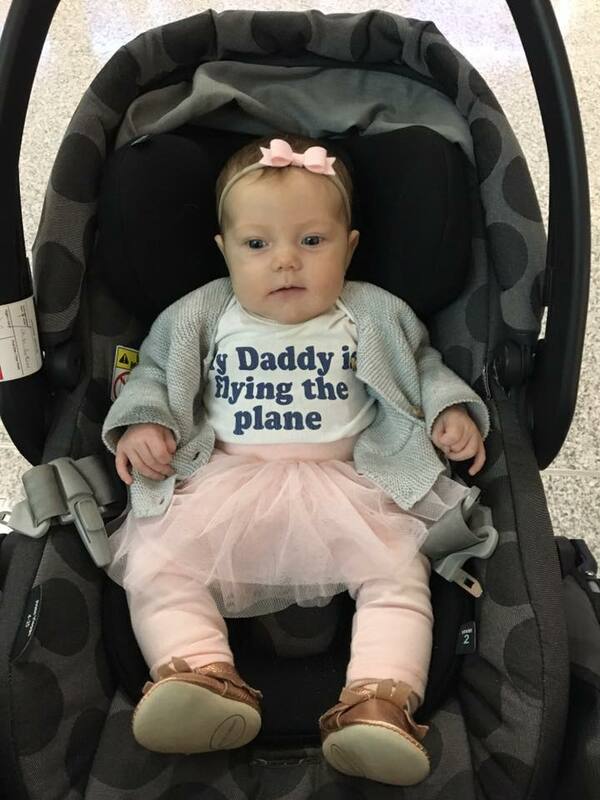 Reaghan’s first flight. Obviously she found the cockpit visit slightly more entertaining! As of today, Aiden has been on a whooping 39 flights (he is a pro by now) and Reaghan has been on 14. Needless to say, I have learnt a thing or two about flying, first with one little, then with two, which I would love to share with all of you! 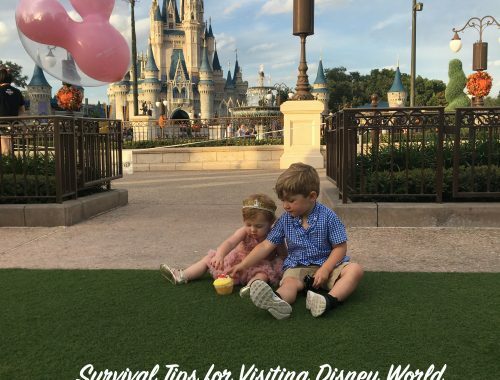 Hopefully the tips below will help ease your mind about flying with your little ones and make your travels a little bit smoother. I promise, with some advance planning, it really is easier than you think! Organization, organization, organization! I cannot stress enough how much easier traveling with little ones is when you are well organized! I understand this is much easier for some people than it is for others (while I am definitely one of those “Everything has a place” people, I live with someone who really isn’t 😋), but I promise you, it is totally worth the effort. So, here are a few tips that will hopefully help you stay organized, at least in your travels! Diaper Bag: This is probably the single most important item to keep well organized while travelling, yet it is also the hardest one to keep organized. The reason why is simple: assuming you are like most mamas (myself included), your diaper bag doubles as your purse, a storage place for your kids’ toys, the snack and drink holder, a place to store emergency diaper blow-out outfit(s), and the list goes on, so that diaper bag is constantly being opened and closed! To help myself stay organized, I like to make sure that everything is neatly packed in my diaper bag (or as my husband says, neurotically compartmentalized 😋), and I always put things back where they go when I’m finished with them – who wants to be standing at the gate tearing apart a diaper bag searching for the passports (where DID I put those after we checked in?!) while tending to a crying baby and inquisitive toddler? No thanks! A diaper bag with lots of pockets makes this much easier. I use the Lily & Jade Rosie bag that can be found here, which has a removable insert full of pockets. Extra bonus for this bag – it turns into a backpack (more on this below). Diapers and wipes are stored in a removable wet/dry bag inside my diaper bag so I can easily take only what I need with me for diaper changes (those airplane bathrooms are barely big enough for one person, let alone adding a baby and diaper bag to the mix!). I also use loads of small zippered pouches for smaller items that might fall out of the open pockets (like the 719 dinky cars my son insists on carrying everywhere with him 😳). Our important documents all get stored together in a small passport-size carrying case that I keep in one of the pockets inside my diaper bag. I often also like to pack any liquids I have in my diaper bag in those small plastic bags they have available at the airport before I leave so I can easily pull them out and re-pack them at security (I usually stock up on these whenever I’m traveling, or I ask my husband to pick some up when he is at work – perk of the job, I suppose! 😋). Anything I need to use regularly (such as my phone) gets stored in one of the external zippered pockets so it is easily accessible. The important point here is that you pack (and maintain!) your diaper bag in a way that makes sense to you and that makes accessing everything inside as easy as possible because this is going to make your journey so much easier! Stroller: Organizing your stroller is much less important if you plan to check it with your bags; if, however, you plan to use your stroller in the airport and gate check it (more on this below), read on! Before you leave for the airport, take some time to empty your stroller out, removing any garbage, loose toys, random snacks, etc. This will really help decrease the time it takes you to go through security since you are required to ensure the stroller is completely empty before it goes through! For this reason, I would also suggest making sure you don’t store too many of your kids’ travel toys in the stroller (see some other options for these below). I also highly recommend you invest in at least one Mommy Hook. These things are so helpful, mamas; they can be used to hold any loose bags you have, such as smaller carry on bags, kids bags, your diaper bag, etc. while you walk around the airport so you don’t have to worry about forgetting them anywhere! Be hands free. Hahaha, right?! Well, be as hands free as you can be with little ones, that is! Trust me on this one, this is going to make your trip (and life!) exponentially easier. The easiest way to do this when you have a young baby is to bring your wrap/carrier; if you don’t have one, borrow one or buy one. I highly recommend buying one as these things are worth their weight in gold. For traveling, I have this one for when baby is still quite small and this one for when baby gets a bit bigger and have gotten a LOT of use out of both of them, and not just with travelling but for running errands, around the house, etc. as well. Wearing baby around an airport is SO much easier than keeping them in their bucket seat/stroller or carrying them, especially at security because you can typically wear your baby through (I have only been asked twice in all of our travels to take baby out). Note that your wrap cannot have any metal on it for you to wear it through security (so most ring slings don’t work, which is why I typically don’t travel with mine). It’s also much easier to wear baby getting on and off the plane so you have both hands free for carry on bags and, if you have an older child too, to re-direct your toddler a casual 3,000 times as you find your seats. Another great way to stay hands free is to get yourself a diaper bag that converts to other carrying styles, such as cross-body or backpack. I had a regular purse-style diaper bag when I had just one little, but decided to get a backpack style one for maternity leave 2.0 since my hands were going to be slightly fuller. Ladies, a backpack style bag really is a game changer. 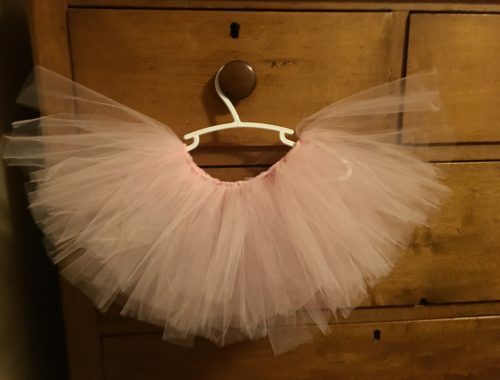 And in my opinion, completely necessary when you have more than one kiddo. Especially when you are traveling! Lastly, depending on the volume of carry on baggage you are bringing with you on board the plane (more on this below) and the personality of your little ones, what you do with your stroller (i.e. – check it with your checked baggage or gate check it) can really impact how hands free you are at the airport. Even though neither of our children has much interest in riding in the stroller (my son prefers to walk and my daughter much prefers being in a carrier or, more recently, walking on her own), we typically gate check it simply because I like to use ours as a luggage trolley around the airport and load all of our personal belongings onto it! Personally, I find this leaves me more hands free because I only have to push the stroller, rather than carry all of the bags, coats, etc.. If your littles prefer to ride in the stroller, however, you may find yourself short a few hands (#lifeofamom), unless you really limit how much carry on baggage you bring. So, what you decide to do with your stroller will largely be a personal decision. One perk to consider when you are traveling with a stroller, however, is the fact that you get to use the family line at security (which is always much shorter than the regular line)! Luggage. Luggage is a bit more difficult to provide tips on because it varies so much across people (while one person may be able to pack everyone’s things in one suitcase, another may need 3!) and travel destinations. Nevertheless, there are a few things that I have learnt over the past few years that are worth sharing. Checked Baggage: For starters, many airlines allow one bag per booked ticket; so even if you won’t be packing your child his/her own suitcase (I always just combine my things into the same suitcase as my kids), their ticket will provide you with an extra bag allowance (assuming they are over 2 and need their own seat, of course), so use it if you need it! Extra Bag: Whenever we travel (whether it is by car, plane or train! ), I always bring this hot pink reusable bag I have with us that I use to put my carrier, nursing cover and a muslin blanket in; it also doubles as a great spot to put any last-minute items we might purchase in the airport, like drinks or snacks, and any loose toys the kids were playing with while waiting if we need to make a move quickly and I don’t get the opportunity at that time to pack them back where they belong in my diaper bag. Carry On: Depending on where we are going, I sometimes also bring a smaller carry on bag with us that has just the essentials (diapers, extra outfits for everyone, swimwear if we are going somewhere hot, you get the idea!) in case the airline loses our luggage (this has happened to so many people I know!). This is typically a lot easier if you are traveling with another adult, but I have done it while traveling solo with my littles too – it just takes a bit more juggling! If you are new to travelling solo, however, I would suggest holding off on the carry on; once you have done it a few times, this option will be more manageable! 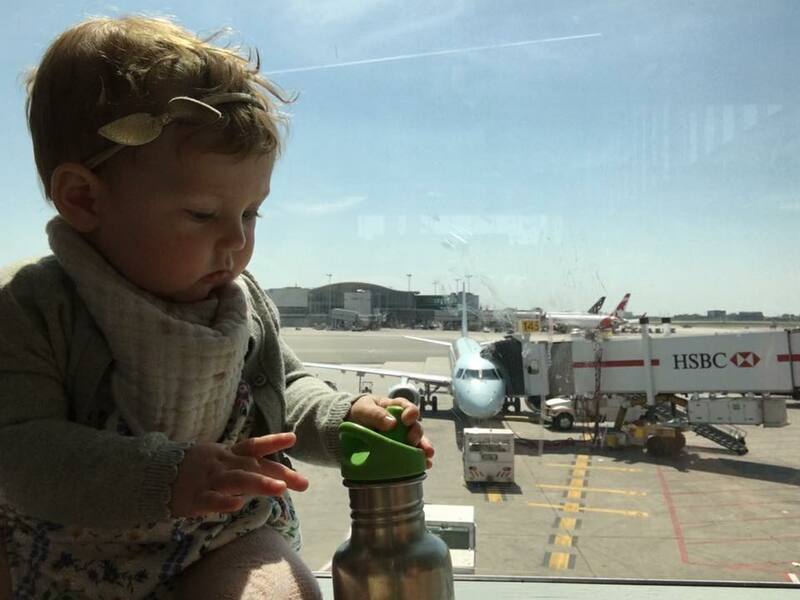 Make sure your kids water bottles are empty when you go through security and fill them up on the other side. I used to always bring full water bottles for my kids through security (and never had an issue! ), until recently when I was told that I could not bring my son’s water through because he was over 2 years old! So now I just bring their bottles through empty. On the bright side, my diaper bag is much lighter going through security now! Fruit can be more complicated to take through security, depending on where you are going. Generally, fruit is okay if you are flying within Canada, but not if you are flying to the United States. Different countries have different regulations, so it would be wise to check into them beforehand if you plan to bring fruit from home with you. We typically just avoid bringing it with us, and buy it in the airport if we want some. Standard squeeze packs do not meet carry on size restrictions. Notwithstanding that I have brought these through security MANY times, I was recently told it is too large and I would either need to allow security personnel to open the pack to test it, or receive a pat down. Obviously I chose the former, and made a mental note to buy miniature squeeze packs for our next trip! If your child has any dietary restrictions that require you to bring food with you, call ahead to find out what steps (if any) you need to take in order to get their food through security and onto the plane. This process may be somewhat different at different airports, so I would suggest always calling ahead so that you don’t get held up on the day you are travelling. Bring some new toys and activities. Kids love new things – something they haven’t explored yet. I typically pick up a couple small toys and activities from the Dollar Store before we go and hide them as surprises in our carry on bags. Bring their favourites. Most kids have a favourite toy or activity that is always a winner. Travelling can be overwhelming for littles, and having something comfortable and familiar can certainly help ease any stress or anxiety they may be feeling. Provided their favourite toy isn’t a “to scale” size fire truck, like my son, this one tends to work great! Download shows and videos in advance. If you are going to let your little ones have some screen time while you travel, I highly recommend you download any shows or movies you think they will enjoy before you leave. Not all planes have entertainment systems, and even those ones that do may not necessarily have shows and videos you are comfortable letting your little ones watch. Even if you don’t routinely let your kids have much screen time, I would suggest downloading a couple options. We typically avoid screen time, even while traveling, but I have been on a couple flights where I have had to resort to screen time and was thankful I had some options available that I was okay with my son watching. Flight Logistics. Be picky about flight logistics, such as timing and route, if possible. For instance, if your little one still naps and is good at sleeping “on the go”, choose a flight that will be during nap time (definitely steer clear of flight times that put you in the security line during nap time!). 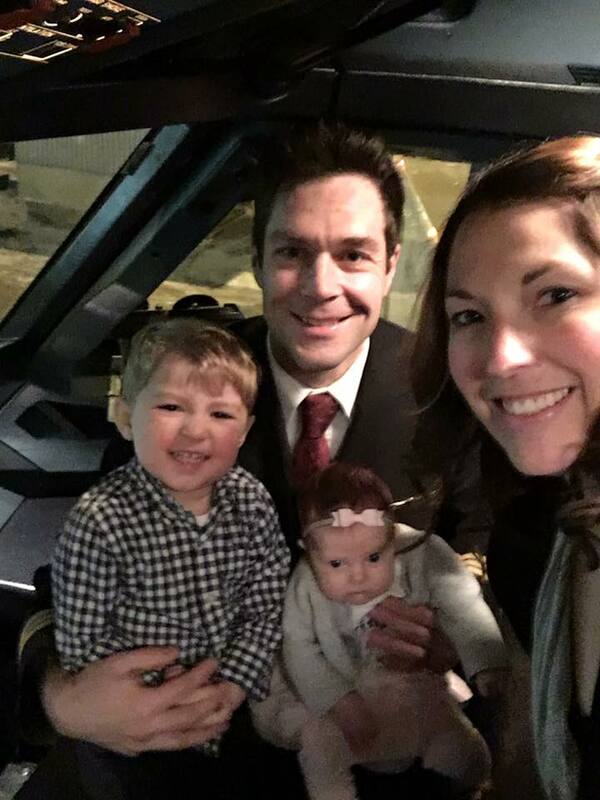 I also try to avoid early morning flights as well because waking my kids up super early to get to the airport typically results in a long and cranky day! And if you can avoid connecting flights, I highly recommend it; the most stressful part of flying with little ones really isn’t the flight itself, but the logistics around it, such as checking in, getting through security, clearing customs, finding your gate, boarding, etc., so if you don’t have to do these things more than once, don’t! One important exception here is if the flight is longer than 10 hours; in that case, I recommend breaking the flight up over at least two days, depending on distance and flight times (when we went to Hawaii with Aiden when he was 9 months old, we broke the flight up over three days!). If it’s a longer flight and you are going to break it up over more than one day, I highly recommend staying overnight at a hotel close to the airport and, depending on timing, opting for a place with a pool. 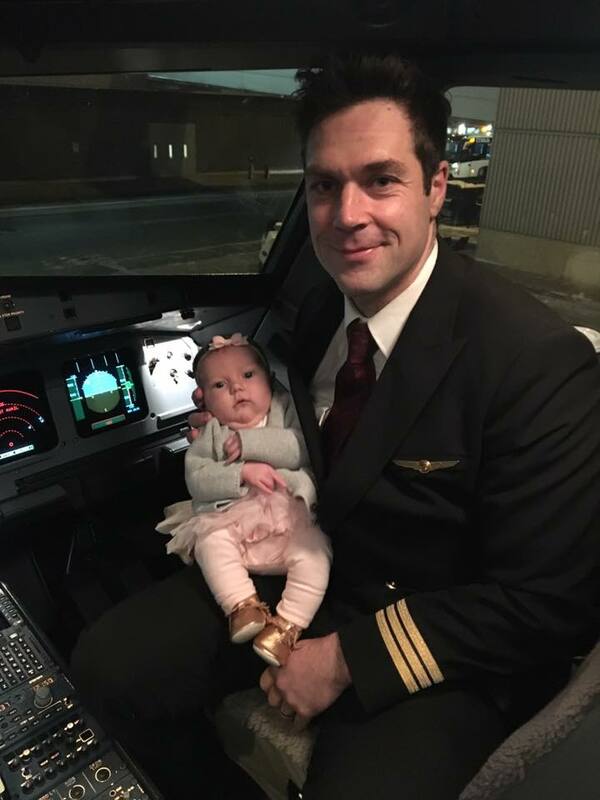 As for red eye flights, it’s easy to think that these are ideal because your little one(s) will just sleep through the whole thing, right? Not necessarily! Depending on your child and their sleep habits, that may not be the case for you and a red eye flight could result in a very long night and a lot of crankiness (for everyone involved!) the next day. Obviously, everyone has to do what is right for them and their children; only you know what will work best for your little ones. I have personally found that flying during nap times on non-stop flights to be easiest (Insider tip: A non-stop flight is not the same thing as a direct flight. Whereas a direct flight means you get from point A to B without connecting, it does not mean that your flight does not stop somewhere on the way, likely to let some passengers on and some off; a non-stop flight means the flight will not connect and not stop, which is much more ideal with little ones because these flights are often shorter and involve less take offs/landings, which can cause inner ear troubles for littles who don’t know how to pop their own ears yet). Unfortunately, it isn’t always possible to pick your flight times or routes (some places only have one flight a day; others can only be accessed via a connecting flight), but whenever it is possible, I highly recommend focusing on these details first, even if it means spending a bit more money on the tickets (trust me, your wallet may not thank me when you buy the tickets but you sure will on your travel day!). Again, what works for one person may not work for another and every child is different so only you can know what arrangement will work best for your family. 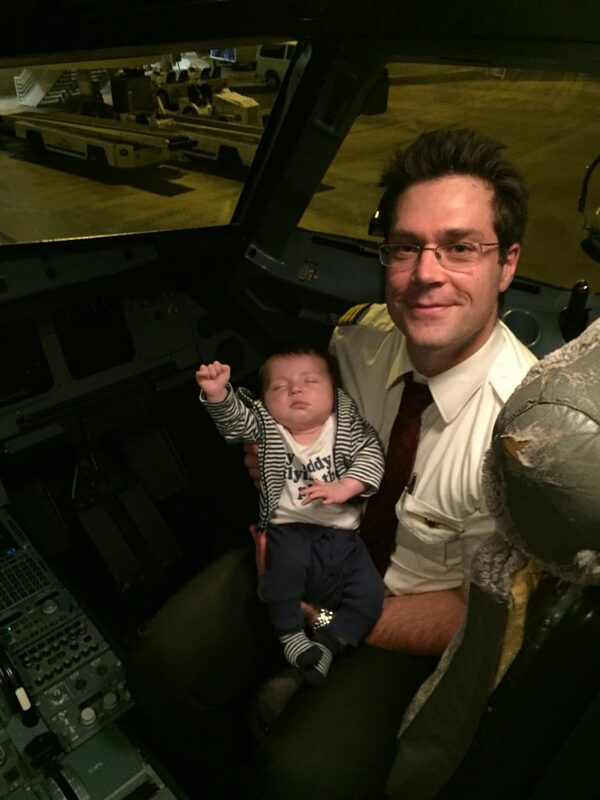 Personally, I have found that having my infant on my lap works better for us and if we need to be in a row with someone else, my toddler does better in the window seat where he can stretch out a bit more (and not have someone asking to get out to use the washroom 5 minutes after he has fallen asleep). 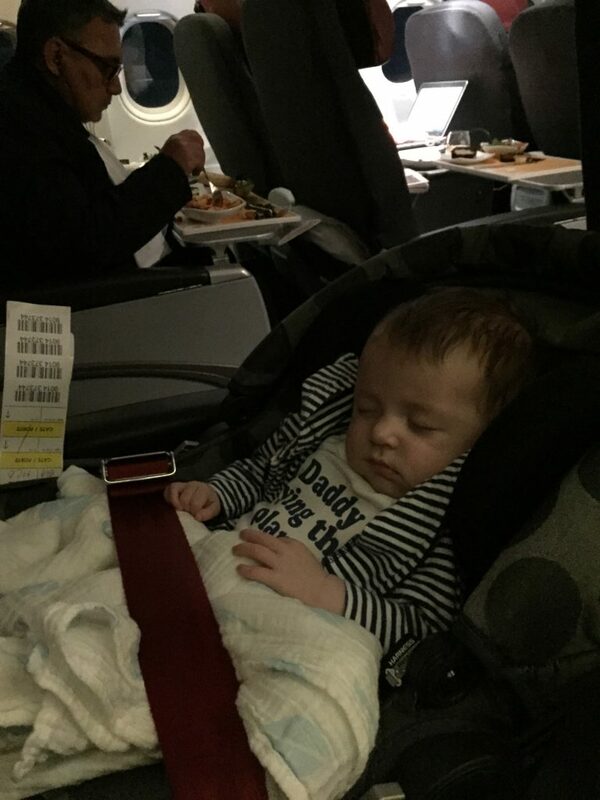 I have traveled with my car seat on board once with Aiden when he was a baby (see picture above) and he actually slept peacefully in it for the majority of the flight (which was just under 4 hours). So I certainly didn’t have a bad experience; it’s just a personal preference to hold (and snuggle!) my baby through the flight. 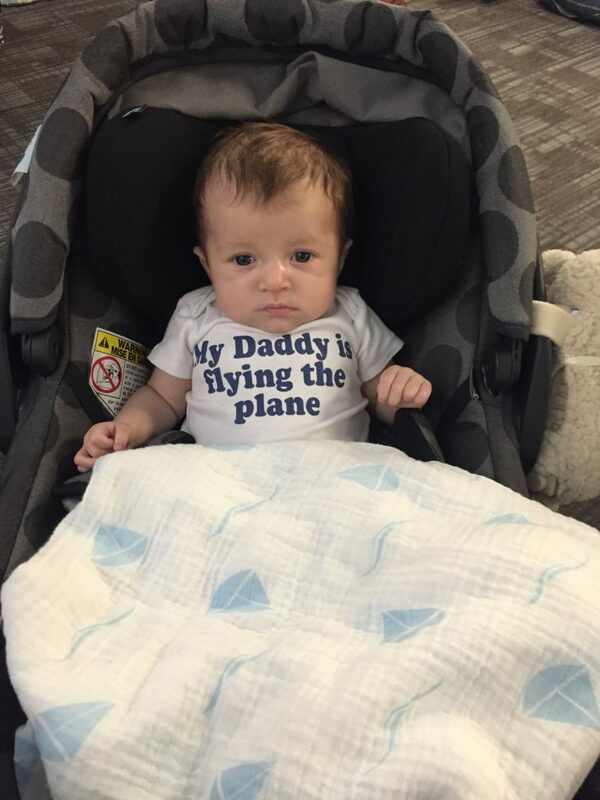 Plus, neither of my kids particularly enjoys being strapped down in anything, let alone a car seat on a plane where there is SO much to see and explore! Avoid those areas of the plane near washrooms and/or galleys since these areas are busy, noisy and very bright at night (none of which is ideal when travelling with kids). Choose your seats ahead of time, if possible. If your family will only need 2 seats and there are 3 seat row options on the plane, select both seats on the outside of a row, leaving the middle seat open (people generally don’t choose a middle seat between two other people unless they have to, so this can leave you with 3 seats to stretch out in; if the middle seat does get taken, I have never had a problem with that person agreeing to switch for the much better aisle seat!). 8. Extra Time. Give yourself loads of extra time. It is incredible how much extra time flying (and really everything in life!) takes with littles in tow. Gone are the days of arriving an hour before your flight and whizzing through security and onto your plane (my husband and I used to always travel like this – oh, the glory days!). How much extra time you need will depend largely on how you plan to maneuver around the airport (Will you be bringing a stroller? Will you check it with your luggage or gate check it?). 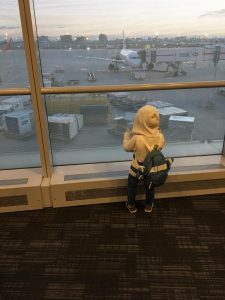 The amount of time you need will also vary depending on whether or not you will be checking bags (since you are traveling with littles, I’m going to assume you are!). We typically aim to arrive 2-3 hours before our flight departure time so we have ample time. 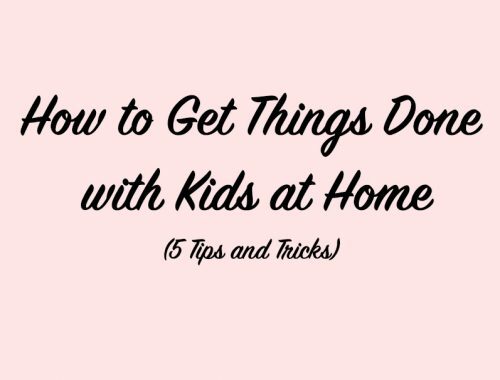 Believe me, it’s much less stressful to have extra time to kill (which honestly disappears quickly when you walk at the pace of a toddler, have to take snack and diaper breaks and so on) than not to have enough time (toddlers do NOT get the concept of moving quickly!). 9. Be Prepared. Plan for the inevitable, for the accidents, the spills, the diaper blow outs and so on. This can be tricky since it’s impossible to know everything that can go wrong, but planning for as much as you can will help immensely. Here are a few ideas: Bring clean clothes – a top for you and a full change of clothing for each of the littles – on board the plane with you. Have extra wipes on hands. Always bring extra diapers (pack diapers, then pack extras, then add one more, just to be safe!). Bring a carry on with the essentials just in case your luggage gets lost. Pack extra food and activities incase your flight gets delayed and you end up spending more time than anticipated in the airport. Although these things may sound trivial, you will undoubtedly appreciate them when things go awry and you need to rely on them! 10. Have Patience. Chances are your little one(s) is going to cry at some point on your journey; realistically, it will happen more than once (especially if you have more than one child or are traveling with a baby). You peeled their banana wrong, they’re hungry, you put their straw in their drink for them (how DARE you?! )… you get the idea. Be patient. Breathe in and out. These are tiny humans with big emotions (that they don’t know how to properly deal with yet). So be patient, show them some compassion, deal with the situation and move on. Oh, and as for all those people around you that you are worried about disturbing… well, everyone has heard a baby and/or child cry before. One more time won’t kill them. So don’t sweat it! You got this mama! Have you travelled with your little ones? Got any more tips to share? I would love to hear them – please leave them in the comments section below!